States that require utilities to increase renewable energy see an expansion of renewable energy facilities and generation — including wind and other renewable sources, but especially solar — according to new research from Indiana University and two other institutions. IU’s Sanya Carley led a team of researchers including Nikolaos Zirogiannis, an assistant scientist at IU, and law professors Lincoln Davies of the University of Utah and David B. Spence of University of Texas at Austin. The group closely examined the history and evolution of state renewable portfolio standards and interviewed more than 40 experts about renewable portfolio standards implementation. 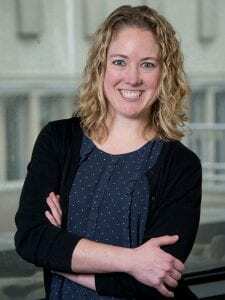 A news release with a quote from Carley, associate professor in the IU School of Public and Environmental Affairs, is available online.